The beach brings back many fond summer memories for young and young-at-heart. 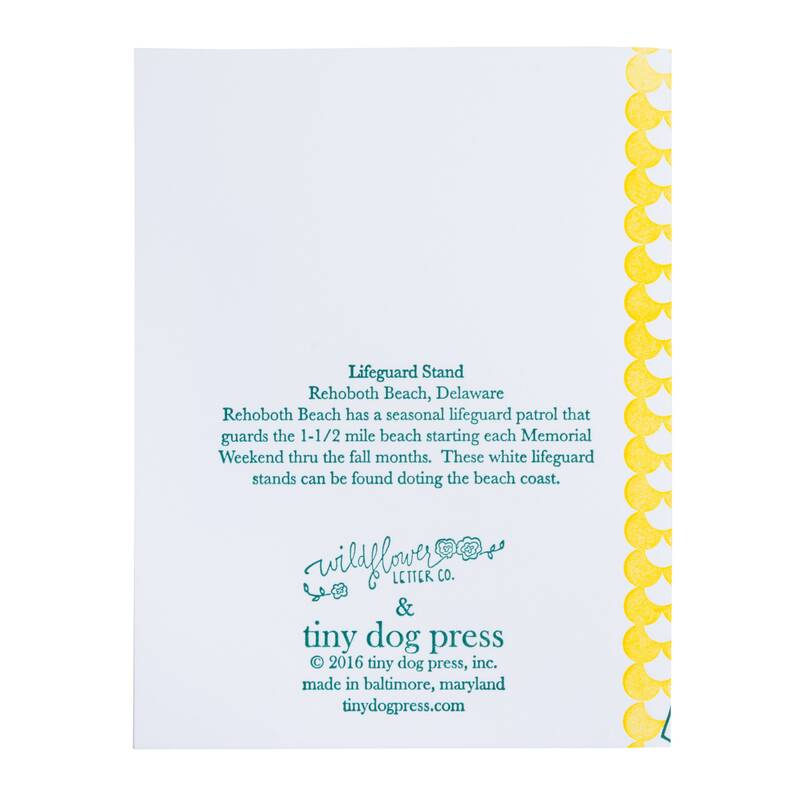 This 2 color letterpress card illustrates the lifeguard stands that scatter the beach front of Rehoboth Beach, Delaware. 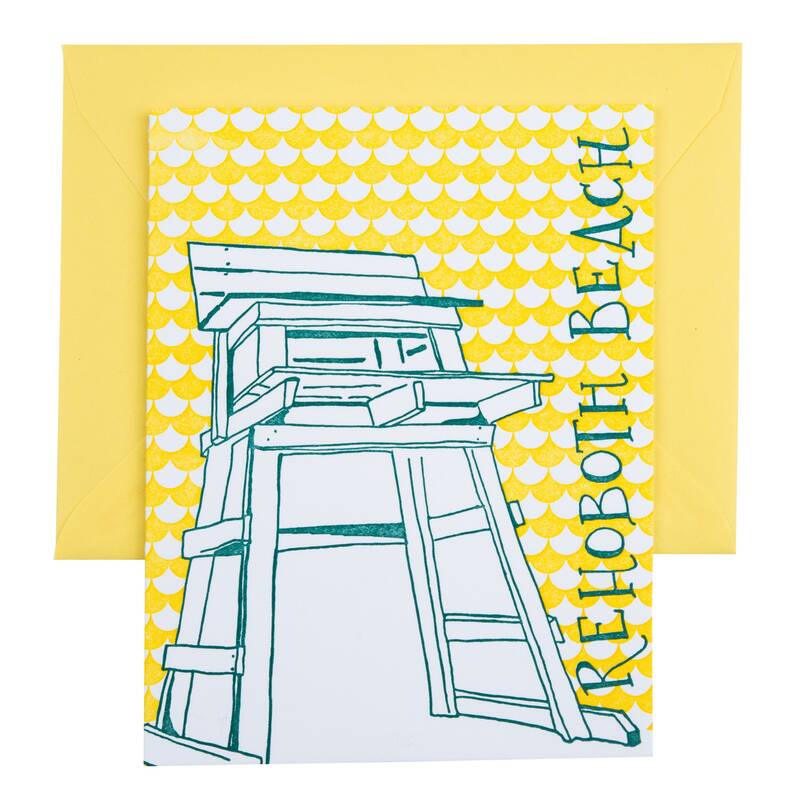 There is a wave pattern in the background and a short blurb about the history of Rehoboth on the back of the card. Size: A2 closed 4 1/4" x 5 1/2"